There is something appealing to me about building a bike up from a bare frame. 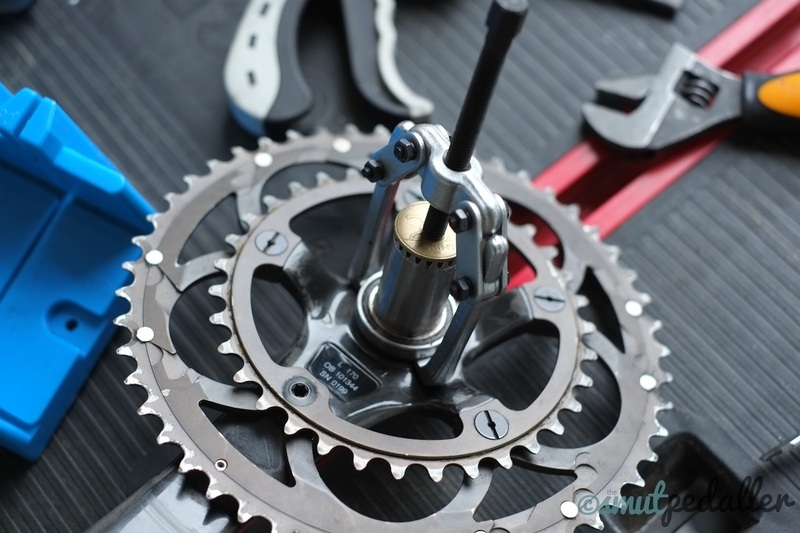 The process of fitting and installing every part onto the bike means you have the utmost control and knowledge of every working part. The groupset I will be putting onto this bike is the same groupset I have had since 2010 which I originally reviewed here. 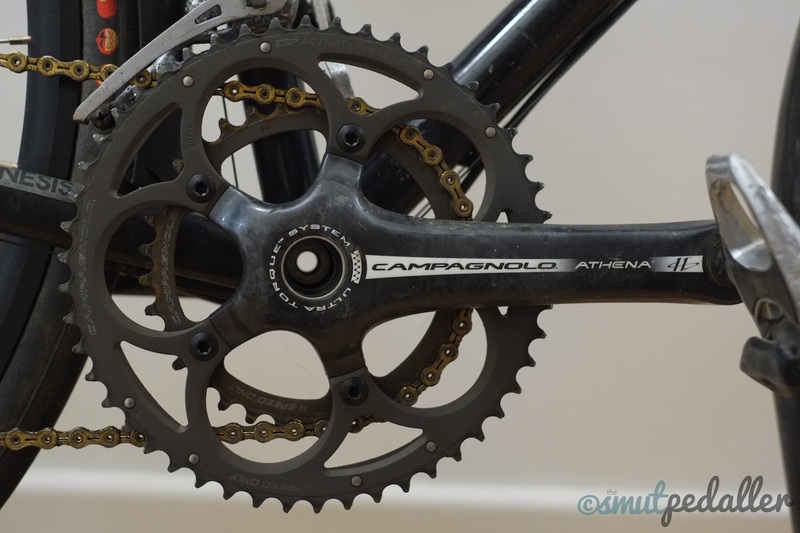 It's been about 6 years since I bought it and I have covered countless distance on it, in the process I've replaced the rear and front derailleur when I built up Phil and converted the gearing to fit an 11-32t cassette two years ago. Over time the cranks have slowly come to the 5-6 year old age where things start wearing out. I knew the bearings were on their way out a while ago when I relubed the sealed bearings. 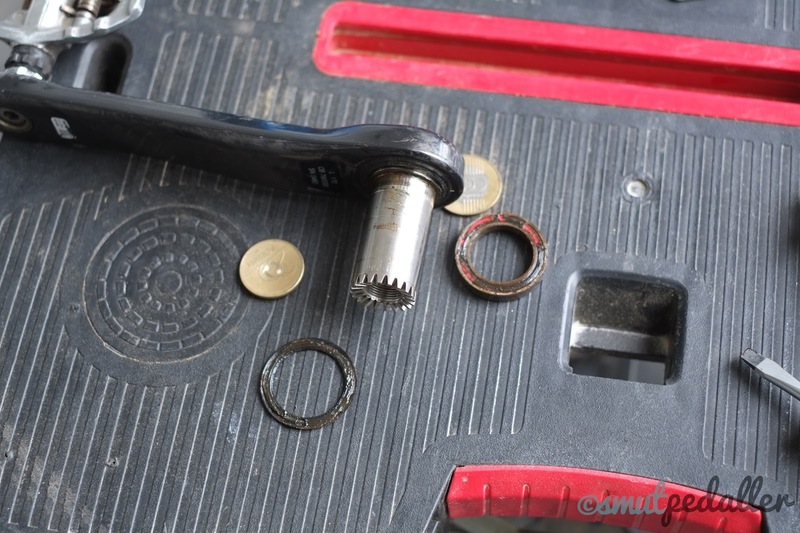 They needed to be replaced, however this would require special tools to remove the bearings. 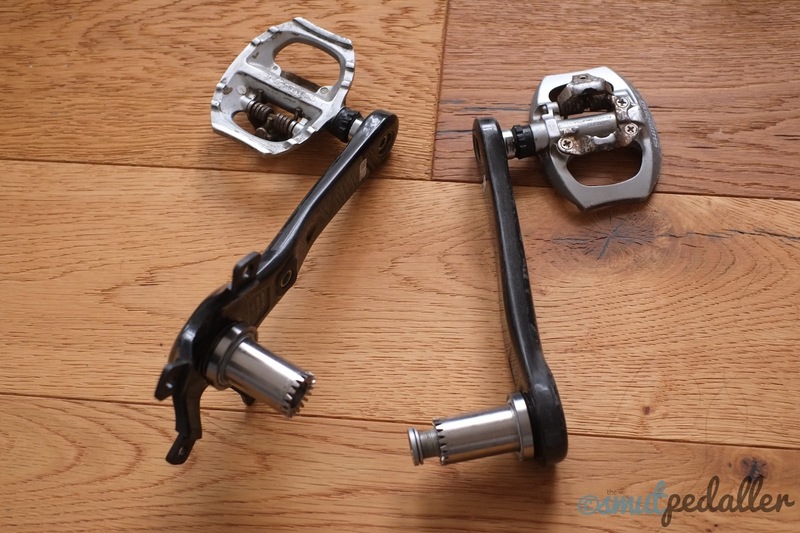 The Campagnolo Ultra-torque cranks are unique in that the bearing itself is attached to the crank not the bottom bracket cups like Shimano or Sram. 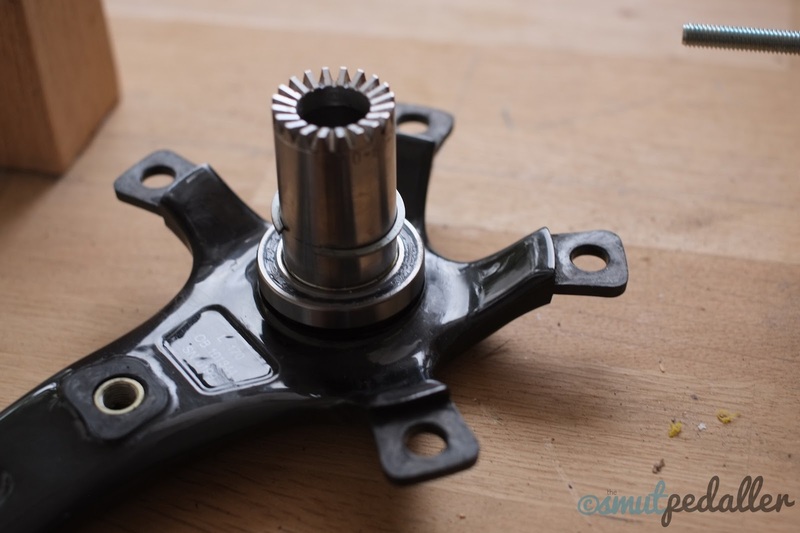 One of the consequences of this design is that you are required to use a bearing puller to remove the bearings from the spindle, you can get a dedicated one for about £50, however after doing a bit of research I found you could use a £9.50 one perfectly fine. 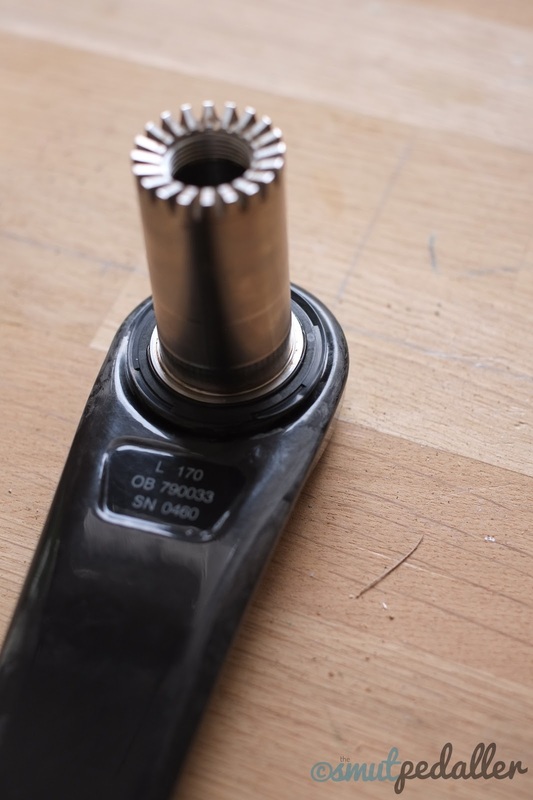 It is the Yato YT-2515 and only needs mild modification to the claws, they need to be filed slightly sharper to be able to fit in the gap between the crank and the bearings. If you are using the Yato puller, give the claws a slight sharpening using a file. 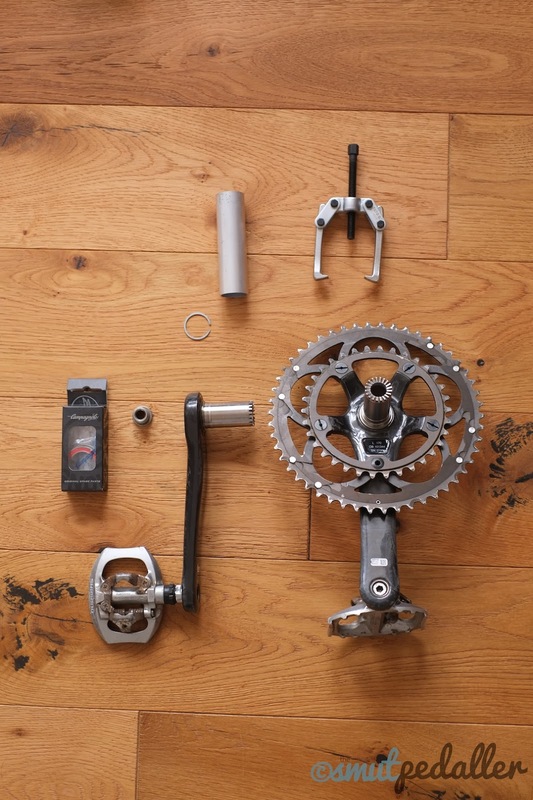 Start with the non-drive side crank arm. Once you can fit the claws between the gap, use a coin or similar on top of the axle stub. Turn the puller to free the bearing, it is a press fit but should come free without too much effort. Ta da! The old bearings were pretty ruined on the non-drive side as they were exposed to more gunk flicked up by the front wheel. 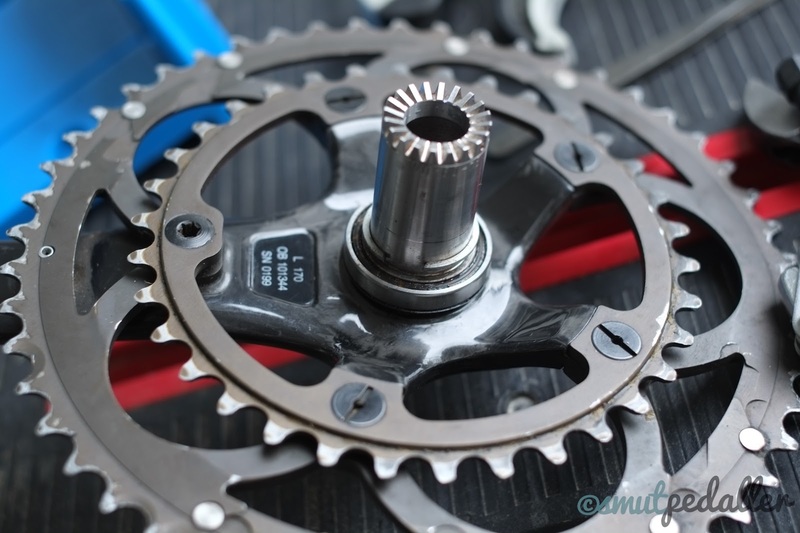 The black ring sits between the crankarm and the bearing giving it a bit more protection from the elements. Now onto the drive side cranks, these have a circlip that holds the bearing in place, this must be removed before attempting to remove the bearings. 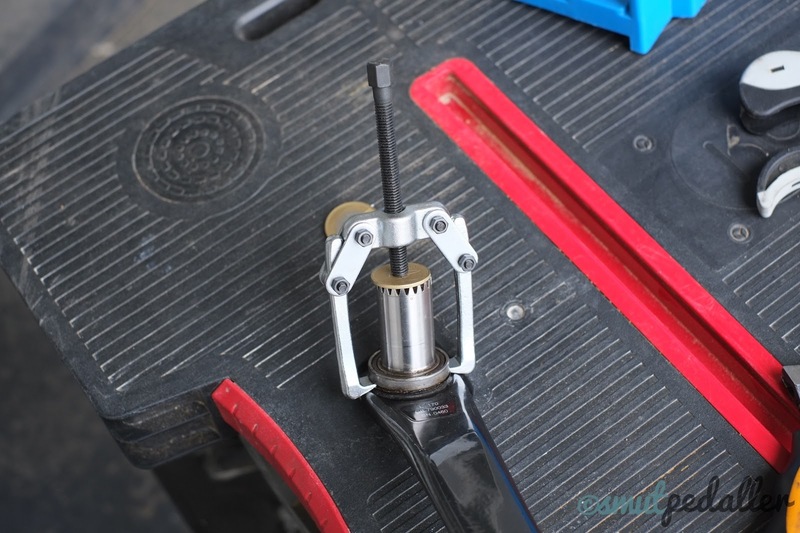 Use the same method as on the non-driveside cranks to remove the drive side bearings. 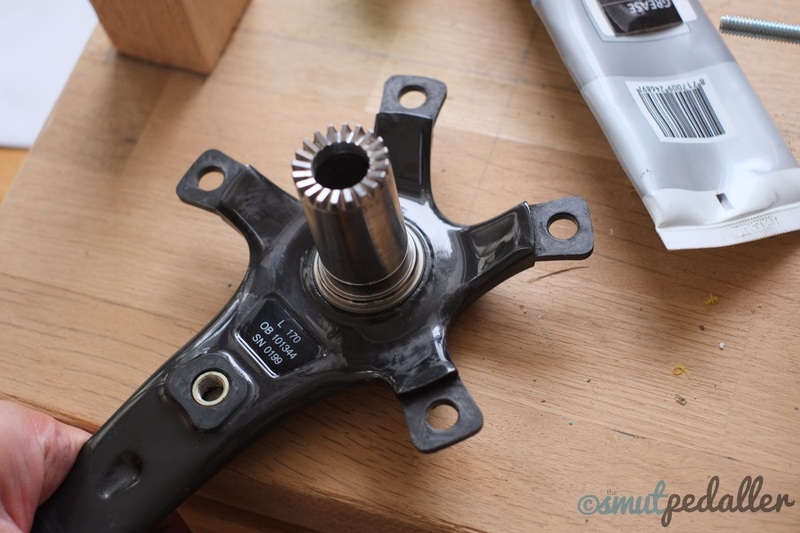 Now you have the bare cranks, give the bearing surface a little bit of grease, then slip over the black dust seal making sure it is seated properly and clear of the bearing seat. 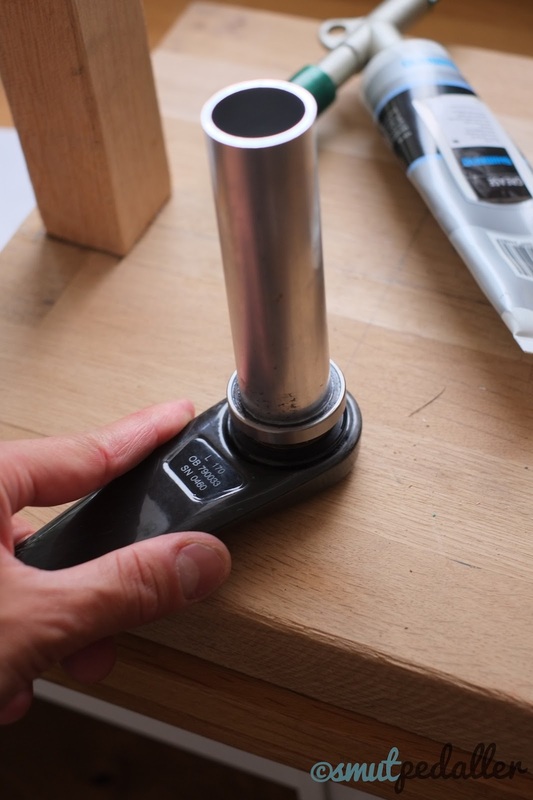 Place the new bearing onto the axle and place the 25mm ID pipe over the bearing, using a mallet or similar tap the bearing into place until it is seated properly. 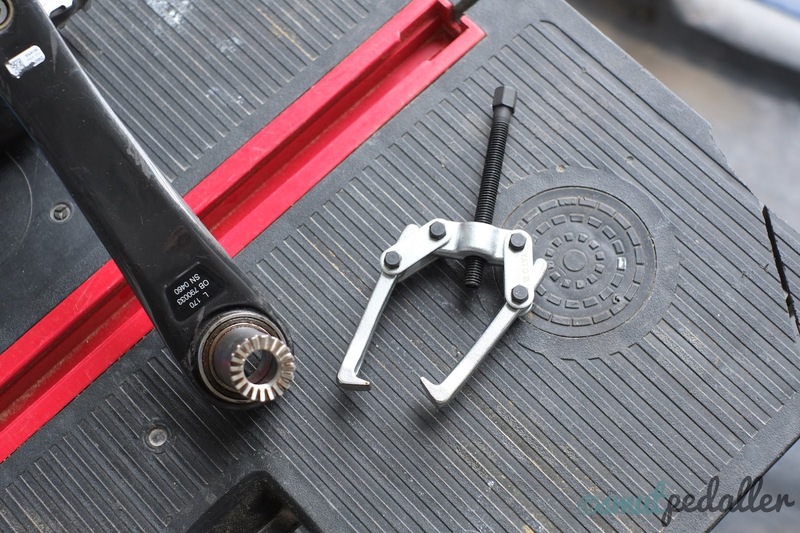 Repeat the same process with the drive side cranks, don't forget to replace the circlip on this side! All done! 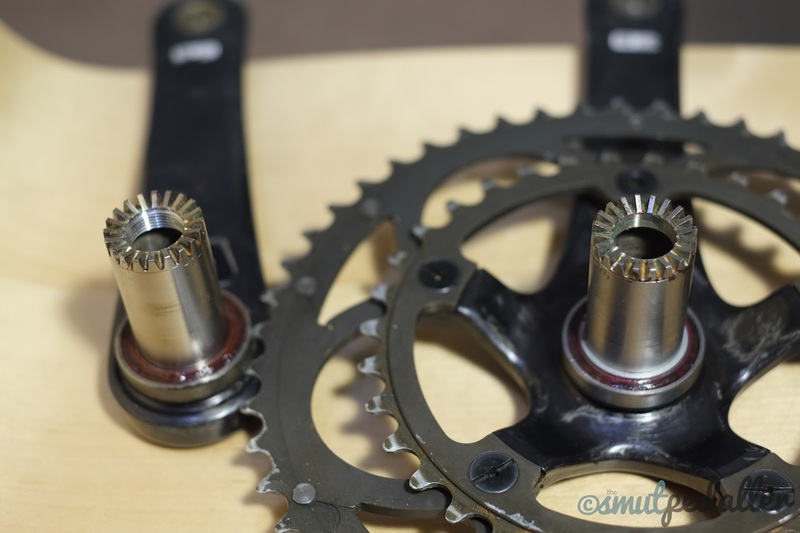 Now the bearings are done the cranks are ready for action. Thanks for reading. I have a question if you don't mind. I've been looking for this and still can't find an appropriate answer. On the second picture(From the top) I can see that bearings fitted on the spindle has no seal and you can service/grease them if needed. On the one of the last pictures you have fitted brand new bearings on the spindle. I can see that you can not pop out the seal as you have fit them on with a different side so now for servicing/greasing you have to pull those bearings from the spindle and then you can pop out the seal and grease them. 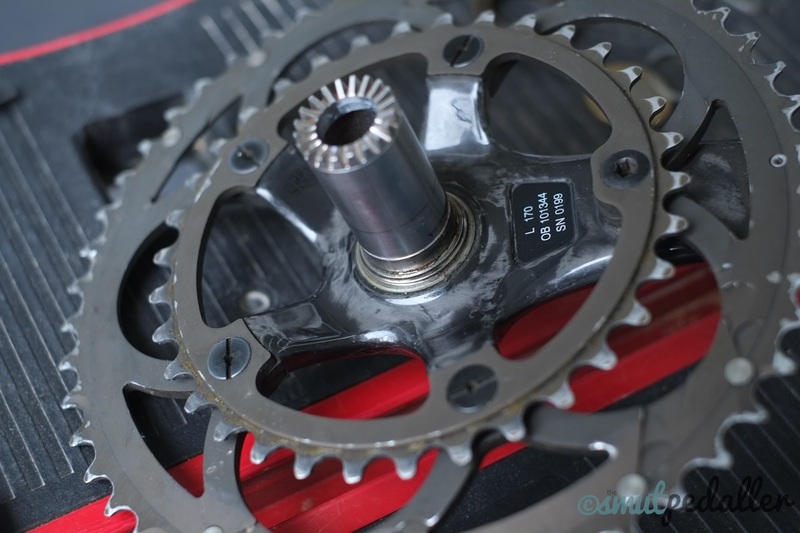 I hope that make sense and I'd like to ask you if matters what side of the bearing goes inside of the BB cups or not really.